The TriMet board recently voted to replace the agency’s entire bus fleet with battery-electric buses by 2040. Since each electric bus is more than twice as expensive as a standard diesel bus, this decision will cost taxpayers more than $550 million in excess costs. The electric premium might be worth it if there were significant benefits to switching fuels, but there aren’t. In fact, battery-powered buses are far less reliable than diesel or natural gas buses. According to a recent study by the Federal Transit Administration, battery electric buses in Seattle only traveled 2,771 miles on average between breakdowns; for diesel buses, it was 17,332. Since moving passengers is TriMet’s primary job, this alone should have disqualified battery buses from consideration. The primary motivation for TriMet seems to be reducing so-called “greenhouse gases,” but battery-powered buses offer no real air quality benefit. The buses must be charged from the utility grid, which is powered mostly by coal and natural gas. Even large wind farms are backed up every minute of the day by other sources such as gas and hydro dams. Using battery-electric buses simply changes where greenhouse gases are emitted, which is meaningless. A better alternative would be renewable natural gas, derived from processing food waste or methane emissions from landfills. For this reason the Los Angeles County Metropolitan Transit Authority concluded in 2016 that it would switch its entire fleet to renewable natural gas buses because it would provide “approximately 39% greater reductions in GHG emissions at half the cost” when compared to electric buses. Finally, TriMet has no way to pay for the electric bus conversion. The staff recommended buying the first 80 electric buses with combinations of federal grants and money from the new statewide employee tax, followed by a hoped-for legislative bailout sometime after 2022. That’s not a plan, it’s a fantasy. 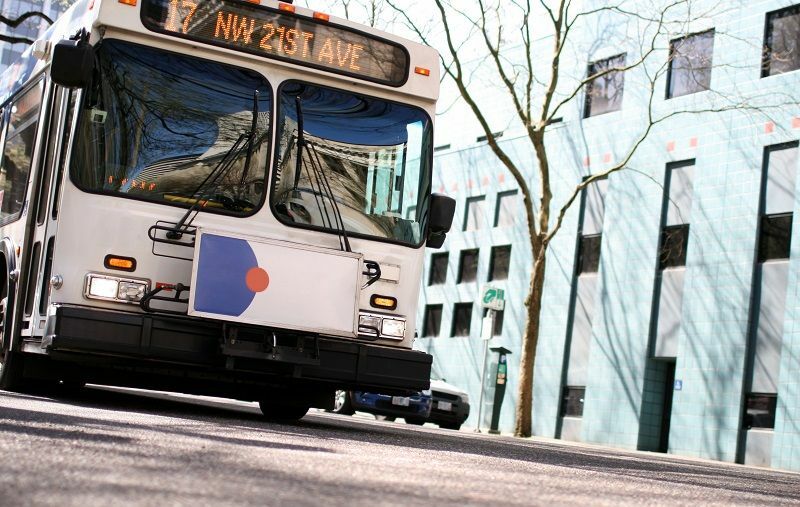 TriMet has already been awarded ten battery electric buses through grants from the federal government. A more prudent option going forward would be to buy ten buses using other fuels—such as compressed natural gas and renewable natural gas—and then test them all head-to-head to measure reliability, emissions, noise, and passenger comfort. This was a rash decision. The TriMet Board should admit that it made a mistake, and spend the next two years analyzing alternative fuels. If taxpayers are going to be forced to pay an extra half-billion dollars for new buses, there should at least be a good reason. John A. Charles, Jr. is President and CEO of Cascade Policy Institute, Oregon’s free market public policy research organization. A version of this article appeared in The Portland Tribune on November 13, 2018.